This Region roughly corresponds to the IUCN region “South America” (see this website for some general information on conservation and development issues in this region). 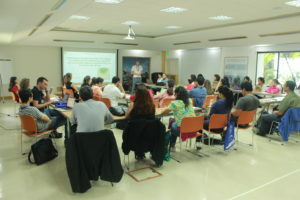 The South American Regional chapter is a science-policy interface that aims to allow the reflection related to ecosystem services in the regional context so different stakeholders can interact for strengthening the management of ecosystem services in the region. Our mission is to be a platform for scientists and policy makers for communicate and enhance the involvement of ecosystem services subjects at different scales of the region. We also aim to support the creation of ESP national networks. Support and develop a science-policy interface for the discussion and reflection about ecosystem services research and management in which multi-stakeholders can interact. Support the creation and functioning of ESP national networks. Colombia: Alexander Rincon, (Humboldt Institute), Lorena Franco (Fundacion Humedales) is investigating possibilities to involve the SINAP (National Protected Areas Systems) in the development of a National ESP Network in Colombia. SINAP has a working group on Ecosystem Services, as part of the Research and Monitoring Initiative which is supported by the Humboldt Institute. NOTE: there are many other active ESP-members in the region but we are still in the early days of the development of the National ESP Networks. If you would like to establish a national network in this region please contact Dolf de Groot. 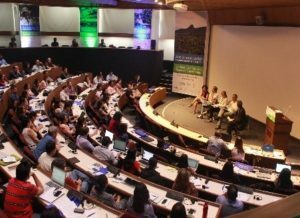 The First Regional Ecosystem Services Partnership (ESP) Conference in Latin America and the Caribbean under the theme “Healthy ecosystems for resilient societies”, held from October 18 to 21 at CIAT headquarters, Palmira-Valle del Cauca, was to be one of the most important events in Latin America, since brought together experts, researchers, students and decision-makers, who are interested and convinced that the ecosystem services approach can achieve sustainable, fair and inclusive development in the region. 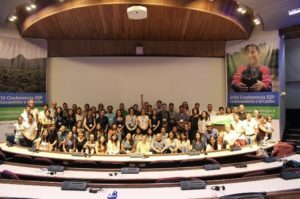 The conference organized by the Humboldt Institute, CIAT and ESP, had the participation of 23 countries, 200 assistants, 20 exposed posters and 23 sessions where more than 150 abstracts were presented. Keynote speakers such as Erik Gómez, Patricia Balvanera, Pedro Laterra, Ignacio Palomo, Carlos Rodríguez, Alexander Rincon, Miguel Mendoza, Sandra Vilardy among others, enriched with their presentations and discussions with this event. In addition, there were carried out 3 panels (15 national and international panelists) where there were discussed issues associated with valuation challenges, policy instruments and governance of ecosystem services, the challenges of the science and their political impact. Hereby, the participants enjoyed a wide thematic agenda, where they knew in the different sessions, cases of study in Colombia and in other Latin American countries, as well as through the 3 options of field trips, the participants could observe the ecosystem services that offer representatives ecosystems of the Valle del Cauca region such as the Cali River Basin, El Hatico Nature Reserve and San Antonio Fog Forest.